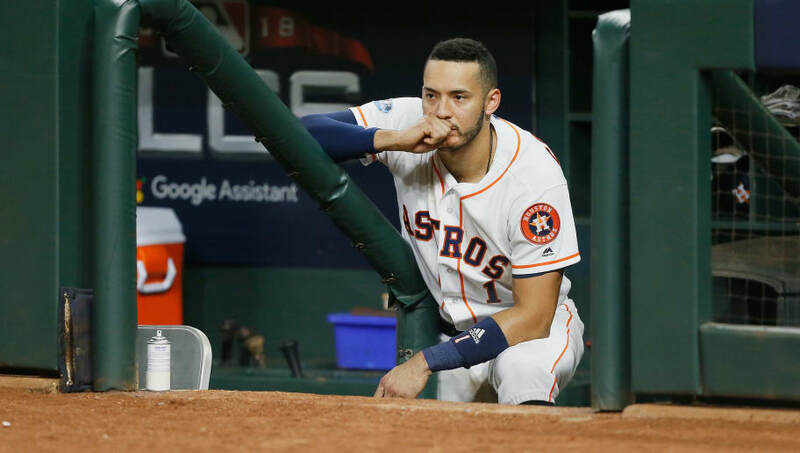 ​A MAJOR pay raise is coming for ​Carlos Correa next season. And you know what, rightfully so for the star shortstop. On Tuesday, it was announced Correa has won his arbitration case. Come next season, he can forget about making $1 million for the entire campaign. Yup, go ahead and multiply your previous salary by five for next season, Mr. Correa. Correa, who will be looking for a monster payday in the near future, is coming off a 2018 campaign that certainly had its ups and down. On the year, Correa hit .239, with 15 homers and 65 RBI. Unfortunately for him, ​Correa battled injuries throughout the season, limiting him to 110 games. Still, he's a defensive stud and is one year removed from hitting .315, with 24 homers and 84 RBI in 109 games in 2017. It's also clear he loves playing in Houston and has no desire to continue his career anywhere else.